Atriuum, a 100% web-based system by Book Systems, is an affordable library automation solution built on a foundation of more than 20 years experience in library technology and feedback from more than 10,000 customers. Atriuum offers school districts and public libraries an easy-to-use, affordable library automation solution. In addition to supporting traditional library functionalities, Atriuum also supports a variety of electronic resources, social networks, and RSS feeds. Accessible from any computer with a browser, Atriuum brings your library resources right to your patron's finger tips, making your library vibrant and alive. Upgrade to Atriuum and breathe new life into your library. 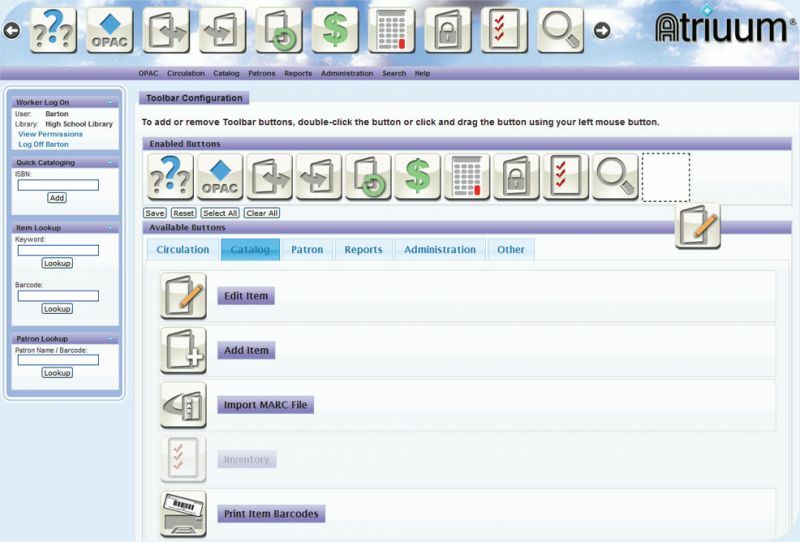 Ready to learn more about our school library management software? Fill in the fields below and a dedicated Rediker Software representative will get in contact with you. Cataloging, circulation, inventory, custom reports, and web accessible OPAC. Quick Cataloging for downloading free MARC records from LOC and other libraries. Empowering patrons through patron managed renewals, reserves, watch lists, etc. 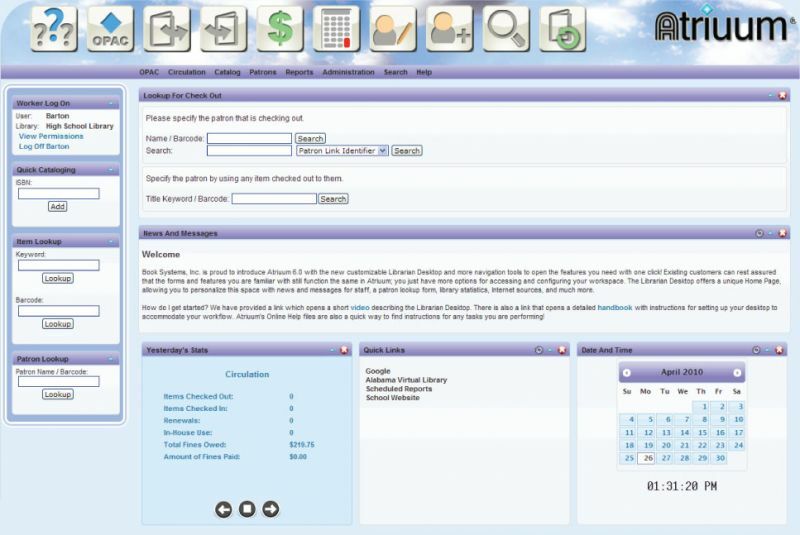 Flexible OPAC themes including more than 70 Main and KidZviZ options. Centralized or distributed information infrastructure. Stress-free cloud technology circumvents costly hosting and provides a zero maintenance environment. Atriuum gives you the tools to effectively communicate with your patrons. Announce recent library acquisitions, “What’s Hot” or upcoming library events. Automatically send email or text notifications for overdue items, holds, and reserves ready for “pick-up” or personalized watch lists, and more. 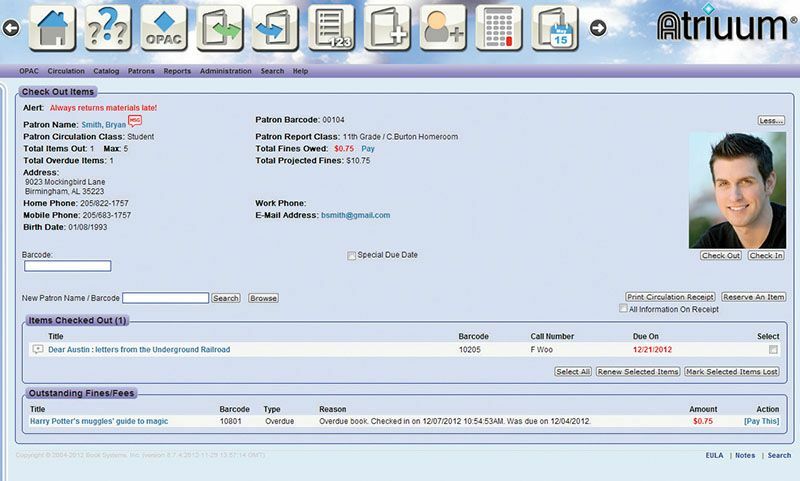 Catalog with speed and efficiency with Atriuum’s built-in Z39.50 client. Get instant access to more than 20 million free USMARC records from Library of Congress and other Z39.50 server databases. Choose from several layout options and more than 70 design themes to customize your library’s online public access catalog. Included are new features like our interactive “What’s Hot” carousel, “Featured” items widget, and tabs for easy access to lists, links, etc. Enable your patrons to log into their accounts to create bookbags, watch lists and to reserve or renew materials. Want to know if an item at a bookstore is available at your library? Use our mobile app’s “Scan the ISBN” feature! When the item is found, the full details are displayed along with the item status and availability. Promoting the People, Places and Things visual search index, our cartoon character (named Vizzie) takes kids on an adventure, exploring your library catalog. Finding digital content in the library has never been easier for your patrons. With the Media Search, patrons can quickly search and access all the digital content purchased by the library. Atriuum supports eBooks and Audiobooks from a variety of vendors, including Overdrive®.